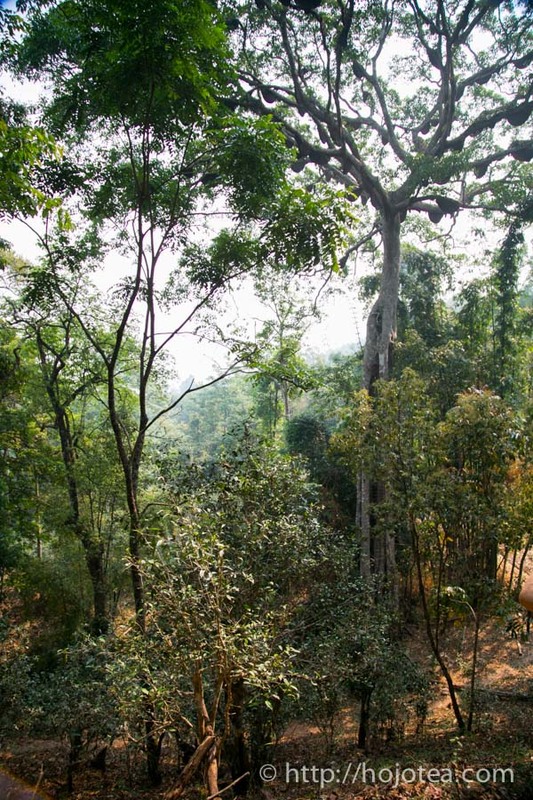 I had the opportunity to enjoy the sight of nature’s great creation in Mang Jing which is a small village located near the borders to Myanmar and about 2-3 hours from Meng Hai. On that special day, I followed a farmer’s family to learn their way of tea plucking and tea processing. 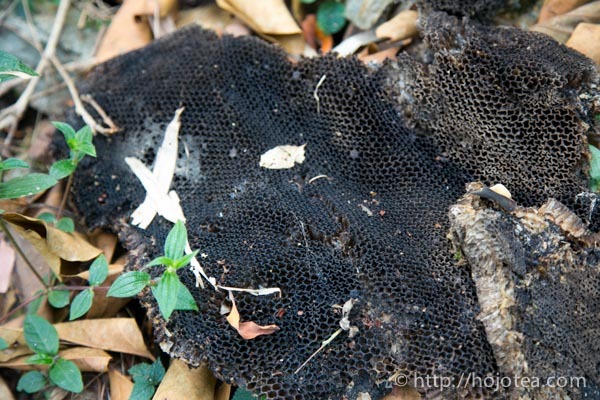 They told us that there was a very big tree with many bee nests in it and emphasized that we should not miss it. From the village center, it took us about 10-20 minutes on foot to reach the destination. 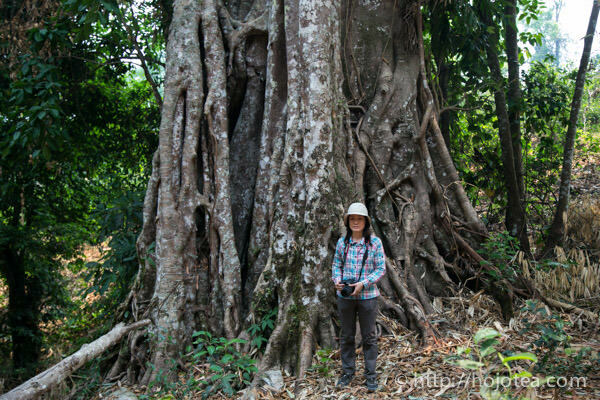 There is a huge tree located in the middle of the ancient tea tree garden called the “Bee God Tree” (蜂神树). Frankly, the sight was beyond the reach of my imaginations. The tree was humongous and extremely tall as if it was connected to the sky. 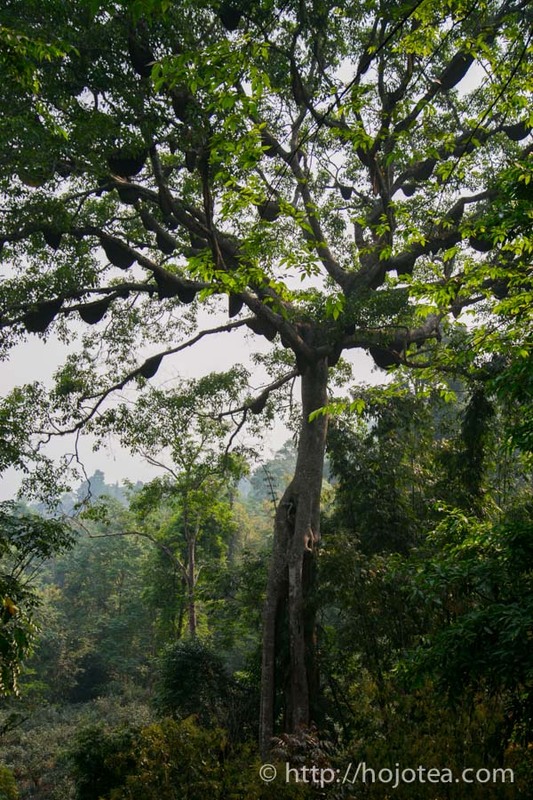 Furthermore, the number of bee nests attached to the branches was indescribably overwhelming. 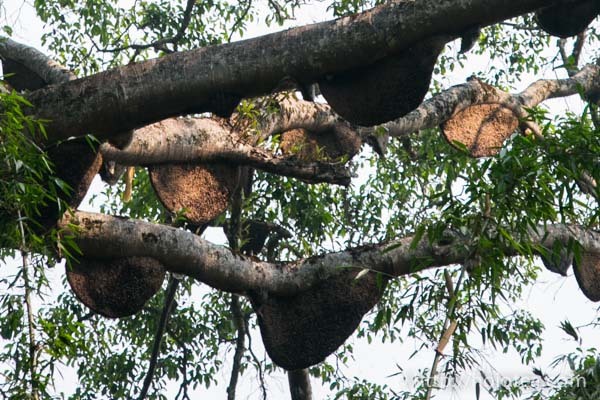 According to the villagers, the bees only stay up on the tree for about 5 months every year where they would fly in on February and then fly away on May when raining season starts. 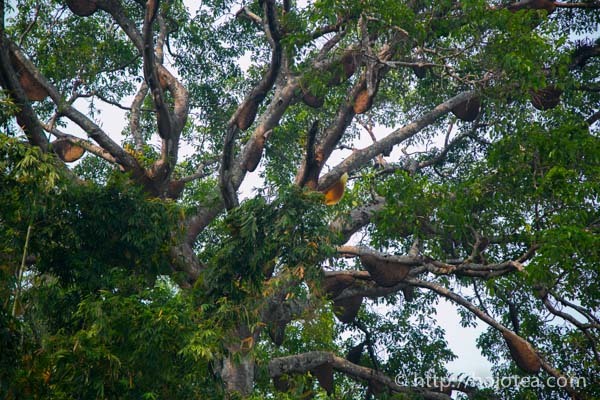 Strangely, those bees only build their nests on that specific tree despite the many other trees present there. Since the bees stayed precisely during the tea plucking season, they sometimes tend to attack farmers who were plucking tea. A week before my arrival, there were families who were attacked by the bees when they were plucking tea near by the Bee God Tree. The tea garden was situated just next to the tree. The tree right in front in the photo is the tea tree. A friend who came along with me kept telling me that he could hear the humming sound of those bees. He mentioned that the sound was so powerful that he could feel it through his body. Honestly, I could hardly hear any humming at all. From my humble point of view, I believe that an individual’s ability to detect a specific type of frequency of sound is similar to that of the capability to taste tea.